The Board Dudes Magnetic 2-in-1 Dry Eraser Medium Point Marker is a magnificent pedagogical tool. That is one sentence I never imagined writing. My student Rohini is a scientist. She's finishing up her Phd. at UC Berkeley after doing her undergraduate work at Stanford. She loves playing the piano and takes public transportation from Berkeley all the way out to my studio on the west side of San Francisco each week for her lesson. As with most of my adult students, we spend a great deal of time on basic technical issues. When adults return to lessons after a hiatus, the problems they had as young people haven't improved with age. She was struggling to play the left hand octaves with a stable hand. Desperate, I grabbed a two-ended dry erase marker I had sitting near me. "Try holding this," I suggested. We talked about ways she might experiment with it. She took it home with her and I wondered what would happen. A week later, she came back and made this video to share her experiences with the Cool Dudes Marker. Part of the reason this worked so well was because of the size and shape of the pads on the ends of the marker. 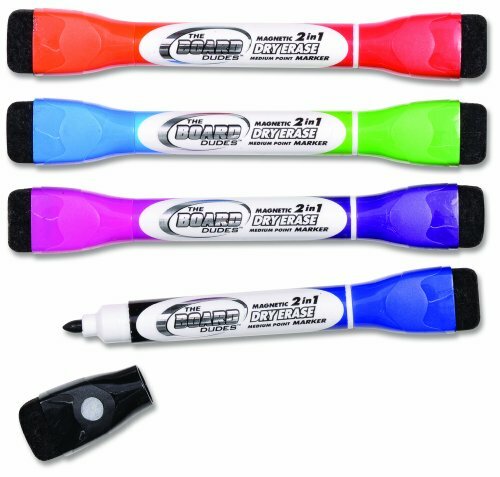 They're designed to be white board erasers. They had just the right amount of traction and cushion to force Rohini to make a firm shape with a flexible arm. If you don't have an arch in your hand, you can't hold onto the marker. I loved the connections she made about where the weight came from, how her hand had to be a firm shape and yet everything else was relaxed. The Cool Dudes had it right. They just didn't know they'd accidentally made a great pedagogical invention!